Road warriors and mobile professionals are attracted to the ultrabook category in part to their slim and light design, powerful performance and relatively affordable price. Many consumer ultrabooks have impressive chops but lack key features that business users need. If you’re stuck trying to decide between a consumer or business model, this one’s for you. This week we’re taking a look at the Lenovo ThinkPad X1 Carbon, which starts at $1,249, and, starting at $1,199, the 15-inch Samsung Series 9. 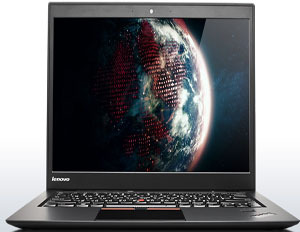 The ThinkPad X1 Carbon is Lenovo’s first business ultrabook. Rugged and powerful (with a good keyboard), the X1 packs a ton of features into a small frame. Though made from carbon fiber, it weighs less than 3 pounds. It measures just 0.74 inches tall and has a 13.0 x 8.9-inch footprint. Into this, Lenovo fit a 14-inch display with a 1600 x 900 HD resolution. The matte display is viewable in sunlight and very bright with wide viewing angles. The touchpad isn’t as precise or error-free as we’d like, but the X1 does come with a TrackPoint, so you can ignore it. The backlit keyboard, while very good, doesn’t have the same strong tactile feedback as other ThinkPad models. 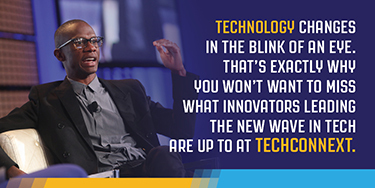 Unfortunately, this is the tradeoff you make for a thin machine. Another tradeoff: ports. The X1 comes with only two USB ports, and no Video Graphics Array (VGA) or Ethernet connections. Performance is speedy thanks to Core i5 and Core i7 processors from Intel coupled with a solid-state drive. In our tests, the battery lasted between 7 and 8 hours with the Wi-Fi on. Samsung’s Series 9 is another amazingly svelte machine given the 15-inch display (1600 x 900 resolution). It’s even thinner than the X1 at just 0.58 inches in height and a slightly larger 14 x 9.3 inch-footprints. This aluminum laptop weighs just 3.8 pounds, which feels like nothing given the size. The matte display is bright with wide viewing angles and remains viewable in sunlight. The large touchpad performs much better than the X1, but there is no TrackPoint equivalent here for those that prefer it. The backlit keyboard has very shallow travel and little tactile feedback, making it less comfortable and easy to type on than the X1. The extra size of the Series 9 allows for more ports. There are three USB jacks plus a micro Ethernet (with included dongle), micro HDMI (High-Definition Multimedia Interface) and mini VGA. 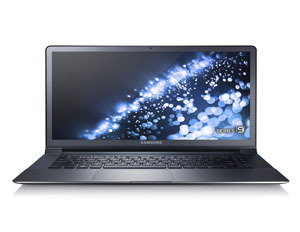 Both Intel Core i5 and i7 processors are available and make for a speedy laptop. The Series 9’s SSD isn’t as fast as the X1 Carbon’s data storage device. Though it has a bigger display, the battery lasts just as long, going for 7 to 8 hours on a charge. Both the ThinkPad X1 Carbon and the Samsung Series 9 offer large screens for small body devices. Though Samsung’s machine isn’t specifically made for business, it has a few advantages over this Lenovo model. However, the X1 Carbon’s rugged construction will hold up to more bumps and travel wear.